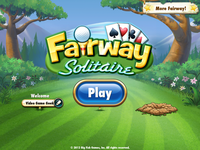 Pull out your clubs (and your diamonds, hearts and spades) and enjoy a round of Fairway Solitaire! This exciting new card game includes 70 unique courses in locations ranging from exotic forests to Scottish highlands. Choose your golfer and experience realistic golf commentary, hilarious wild shot cards, and three fun mini-games.